Perhaps One for the Ladies? In the last couple of years there has been a big increase in our lady members. No I don’t mean that they have been eating too many cream cakes at the tea stops! 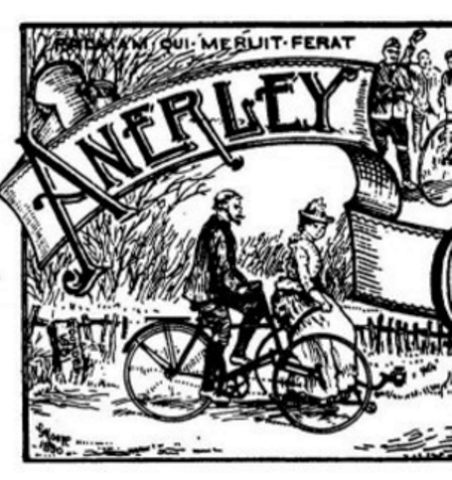 I am referring to the number of ladies who now ride regularly with Anerley B.C. 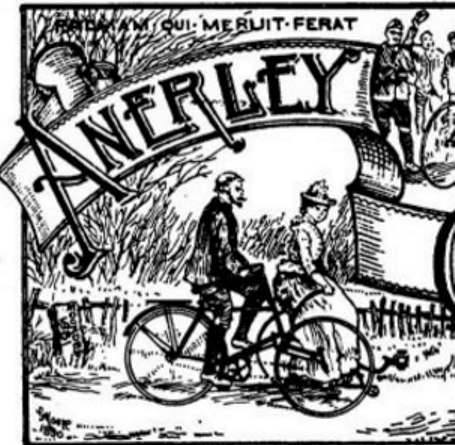 Cycling clubs have traditionally been bastions of testosterone charged young males, but the Anerley can claim to have been one that in its earliest days was a bit more open minded. Every week Stuart sends out by electronic mail, The Anerley Bugle. This a modern and very abbreviated version of what used to be a multi paged club magazine entitled the Anerley Gazette. The Gazette is believed to be the first ever club cycling magazine, which started life in 1888. It proved to be such a success with club members that it was upgraded in 1890 to a professionally printed version. For this a banner heading was drawn by an artistically gifted member. And this is where a record of Anerley’s ladies begins! This section of the banner heading is a drawing of the husband and wife members, Mr and Mrs Moore on an Olympia tandem. I assume that it is Mrs Moore on the front, today one can never be too sure! Unfortunately we know nothing more about the cycling exploits of our first lady Moore. One has to wonder about whether the good lady was an active pedaler in her voluminous dress, or just a passive passenger? Probably the former because the Olympia had a racing pedigree. The Olympia Tandem was a very novel and innovative tricycle when it first appeared in 1888, and the novelty was to be clearly demonstrated when the very first one made broke the 100 mile road record. Of particular interest to us Anerley B.C members, is that this record breaking ride was achieved by S.F Edge and G.L. Morris. At this time in 1888, S.F. Edge was only 19 years old and was one of the earliest members of the Anerley, perhaps even from its inception in 1881. Two years later, in 1890, Edge (at rear) and J.L.E. Bates (also an Anerley man) set another record for the 100 mile ride. This record remained unbeaten until 1924! It is not clear from the photo above, but it looks as though Bates is pedaling to power the front axle and its two wheels, whilst Edge is clearly powering the chain driven back wheel. 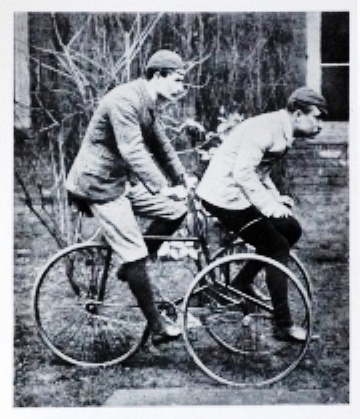 The photo showing an Olympia tandem in action, strongly suggests that our lady, Mrs. Moore, was indeed a pedaler, and probably necessarily so, because the Olympia weighed in at some 60 lbs even before anyone sat on it! Clearly, the ladies of Victorian times were just as spirited as are today’s Anerley ladies, but to prove the point the earlier ladies needed to make some changes to their dresses. And of course they is nothing that ladies like better (except perhaps riding a bike) than to go out and buy a new dress! Their search in the dress shops for something more suitable, was aided by the then recently introduced safety bicycle, and helped by a must have cycling accessory. Riding in a long skirt was difficult, so contrary to the strict dress code of the day, some avant-garde young ladies took to wearing knickerbockers. In their opinion, comfort was more important than convention. However this was considered by many to be outrageous behavior. But these trend setters were not deterred. Viscountess Harberton, was an avid promoter of what was termed “Women’s Rational Dress”. 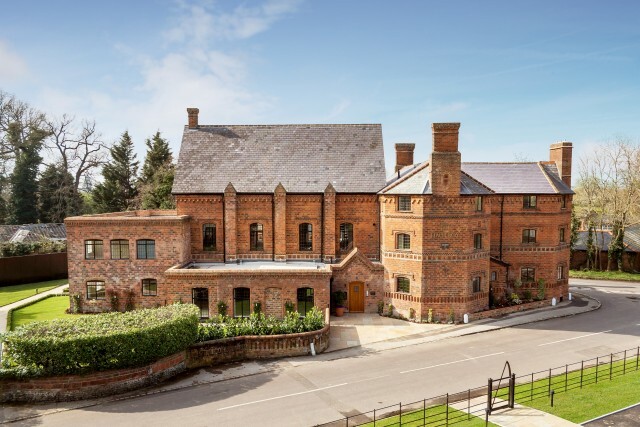 On a bike ride in 1898, she was refused luncheon in the coffee-room at the Hautboy & Fiddle in Ockham, because she was wearing exceedingly baggy knickerbockers reaching below the knee. 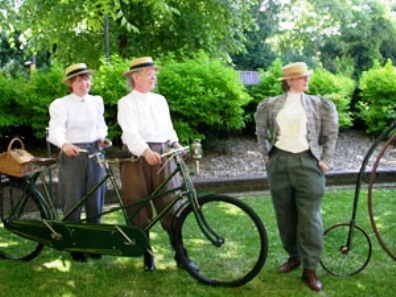 Lady Harberton subsequently lodged a complaint with the Cyclists’ Touring Club. So the C.T.C. took legal action against the landlady of the Hautboy, but lost the case. My intention had been to take a photo of our lady riders at this infamous cycling hostelry. Unfortunately we were pressed for time so my plan was not full filled. However, now you can look out for it as you know a bit about its history. Perhaps next time I lead a club ride out that way I can get a picture of our ladies to add to the history of the Anerley Bicycle Club, and the Hautboy. One last thought. 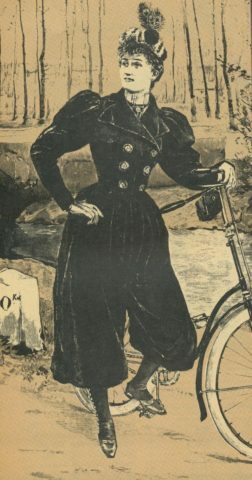 I wonder how the Victorian gentle folk would have reacted upon seeing our lady cyclists of today, in their tight fitting tops and lycra shorts. No doubt it would be a case for the smelling salts!! !